July 14 (Reuters) - Track and field star Alice Coachman, who in 1948 became the first black woman to win a gold medal in the Olympic games, died in Georgia on Monday at the age of 90. Coachman, who won her gold medal in the high jump at the 1948 summer Olympics in London, died at a hospital near her home in Albany, Georgia, said AC Meadows, owner of the Meadows Funeral Home. "Alice literally set the bar with her accomplishments at the 1948 Games, but Olympic champion is only part the incredible legacy she leaves behind," United States Olympic Committee CEO Scott Blackmun said in a written statement. Alice Coachman Davis has inspired generations of athletes to be their best and she will be missed," Blackmun said. Meadows did not know the cause of death for Coachman but the local Albany Herald newspaper reported that she had suffered a stroke three months earlier. 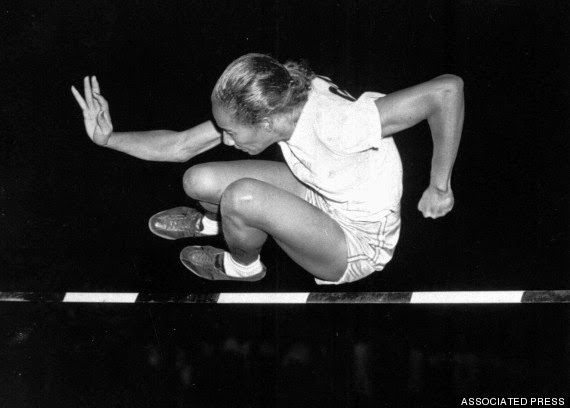 The paper reported that Coachman, who graduated from Albany State College following her Olympic victory, won 10 consecutive U.S. titles in the high jump and has been inducted into nine halls of fame. "Although she will sorely be missed, her achievements outside the fields of competition are on par with the great accomplishments within the athletics lines," the university's athletic director, Richard Williams, told the Herald. "We will continue to honor her legacy within the athletic department at Albany State University," Williams said.